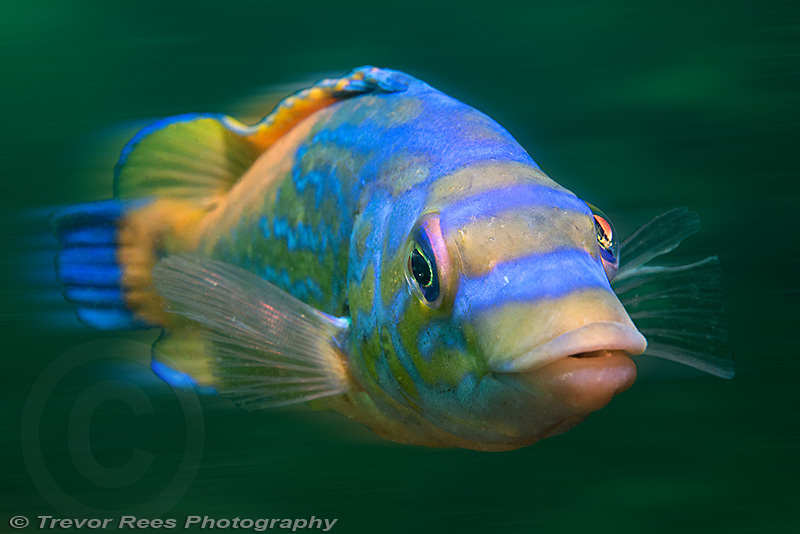 This male cuckoo wrasse was photographed on the Mewstone ledges in Plymouth. A stunning blue colouration makes these inquisitive fish a photographers favourite. By way of contrast the female cuckoo wrasse is orange in colour - and appears as a small image in the top banner running through this web site.